Mike Perry April 21, 2015 December 21, 2016 Comments Off on 5 Things: Am I A Writer? I recently read a blog post (I wish I could remember who posted it so I could link it!) in which the writer confessed that she had not written anything in four months. She was ashamed. She was frustrated. She questioned whether she was a writer at all. Well, I have written a bit in the last four months, but not a whole lot, and my newest novel, “Men Waiting For Sleep,” has been sitting untouched in a drawer for more than six months. Yesterday, I had a writer-breakdown of sorts. When you are marketing a self-published book, you are constantly pushing that book to everyone you can get to listen, and if you’re anything like me, you’ll feel like Sisyphus pushing that boulder uphill. I was just tired. Still am. 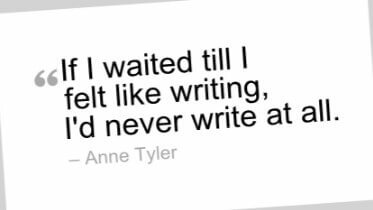 Writing has become a chore, since I do it as my full time job and as my “passion,” which I have been increasingly less passionate about as of late. Does this mean I’m not a writer anymore?